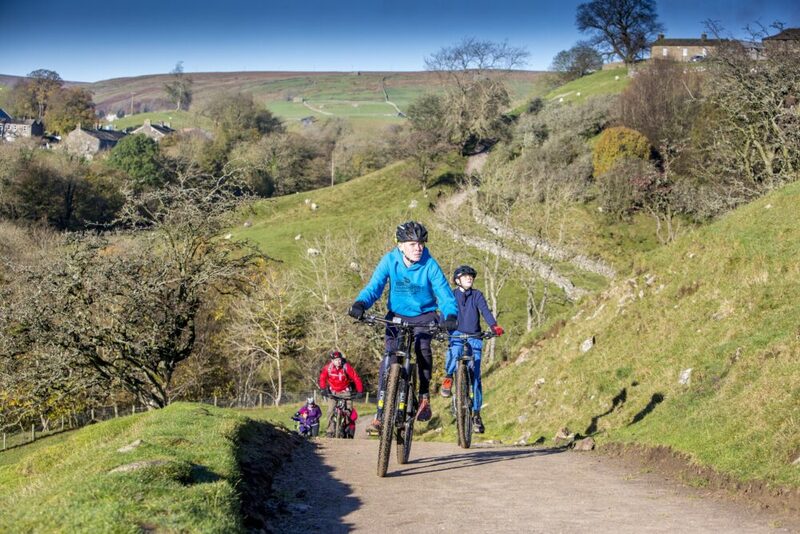 The Yorkshire Dales is a mecca for mountain bikers but one of the problems for families with younger kids has been that the riding is challenging - it's either steep up, steep down, or very bumpy! 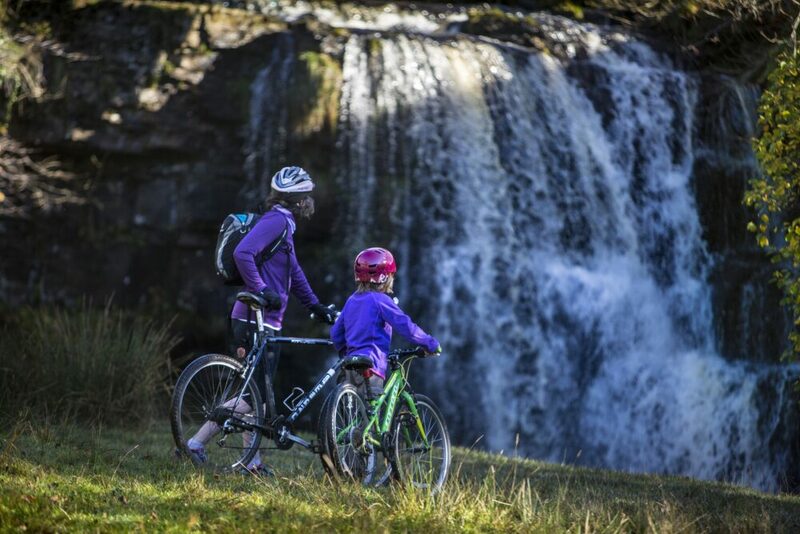 However, there's good news for cycling families as a new family friendly MTB trail - The Swale Trail - has just opened, providing a less challenging way of getting around on mountain bike, while enjoying one of the most scenic areas within the Yorkshire Dales National Park with your child. Around 70% of the route is traffic-free following existing routes that the National Park has upgraded, cleared and levelled to improve the riding surface along with newly installed Swale Trail signposting. The rest of the route follows quiet back roads. The trail snakes its way beside the River Swale, providing spectacular views across the unspoilt landscape. The trail also offers an insight into the local history of the region - giving something to keep curious kids interested along the route. Those who like their facts a bit gory will enjoy learning that the first section of the trail from Reeth is known as the "Corpse Way". It is a route once used by families to carry their loved ones along the valley to Grinton Church and where there are still large stone slabs that acted as resting places for the coffins. We've no idea if there are any ghosts along the way, but if you see one do let us know! This is the midway pit stop - you can stop at the pub or tearoom if you're not carrying your supplies - before tackling the slightly hillier, wilder section of the route towards Keld. The section from Gunnerside to Keld is the harder part (blue grade) with a couple of challenging climbs, but with stunning scenery and a gorgeous section alongside the River Swale. You'll get to see the remains of the old lead mining industry that was once important, spectacular waterfalls and many of the classic hay meadows and field barns for which Swaledale is so well known (expect them to be brimming with colour in late spring and early summer when the wild flowers are in full bloom) . On the short steep section across the river at Keld you may wish to walk if it's a bit too steep. Keld may be tiny but has parking, a café, toilets and an interesting museum in a small space. The Swale Trail is a multi-user route and you will meet walkers, horse riders and other cyclists. It's a good chance to teach your Cycle Sprog how to Share the Trail when you meet people - call out hello and pass wide and slow. You will also meet the occasional motor vehicle both on the roads and some of the tracks as farmers use them to access their fields. This is a linear route, so you can cycle up to 24 miles if you do the entire length there and back. If you want to make a weekend of it, there are camping and other accommodation options at Keld and Reeth. There’s a variety of accommodation including camping and luxury yurts at Keld where prices start from £8 per adult and £6 per child for a night for the camping option. Alternatively try Frith Lodge at Keld, a B&B that can provide evening meals and packed lunches, from £95 per room per night. There is also plenty of choice in Reeth including pubs, five-star B&Bs and a high quality bunkhouse. Further details of the route can be found on the Cycle The Dales website, and you can download the route (GPX or PDF) here. 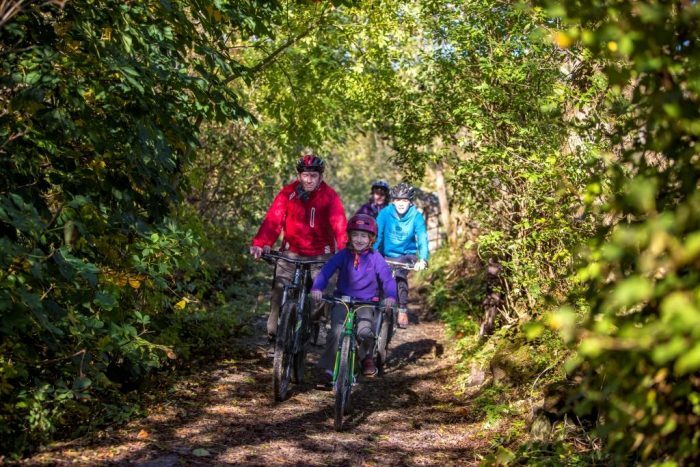 If you've ridden the Swale Trail with your Cycle Sprog, please leave a comment below with any hints and tips that will help future riders of the trail. Thanks!